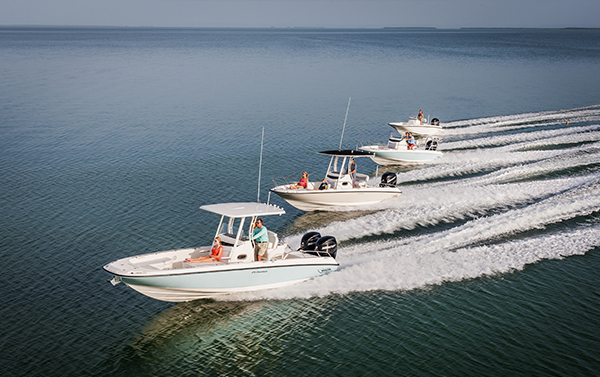 The Boston Whaler Dauntless truly lives up to its name. 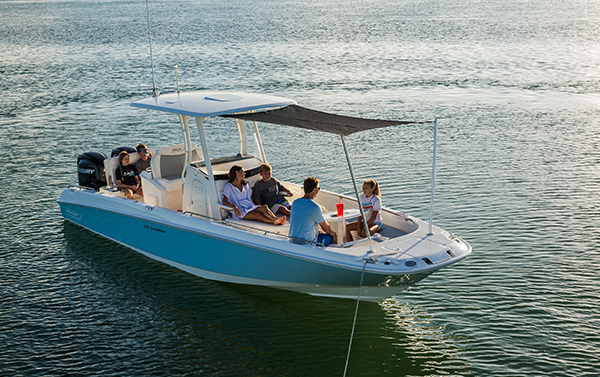 Well equipped for both watersports and offshore fishing, the center console Dauntless comes with a host of amenities and options to suit your specific on-water pursuits. 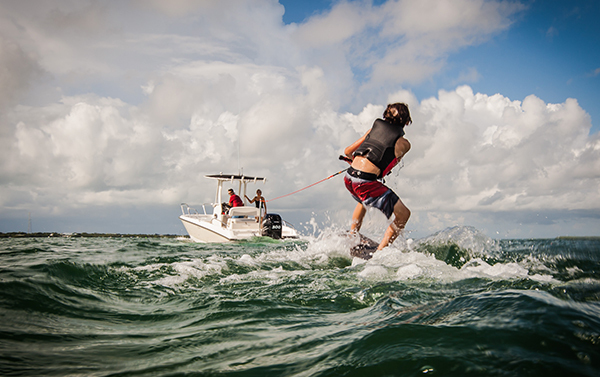 Pedestal fishing seats and an optional reversible pilot seat with livewell expand fishing capabilities, and the All-Activity Tower delivers extra watersports exhileration. Unsinkably safe, reliable, and with plenty of space for people and gear, Dauntless is outfitted for the active family.